Acquire high-valued prospective patients and convert them into actual patients with your comprehensive and educational InfoSite. How great would it be if your business could garner greater visibility in its highest valued markets? That’s exactly what Now Media Group can help you accomplish through our targeted InfoSite campaigns. Your InfoSite is a comprehensive educational resource on a particular product, service, or focus area, designed to dominate the search landscape and drive customers or patients to your business. 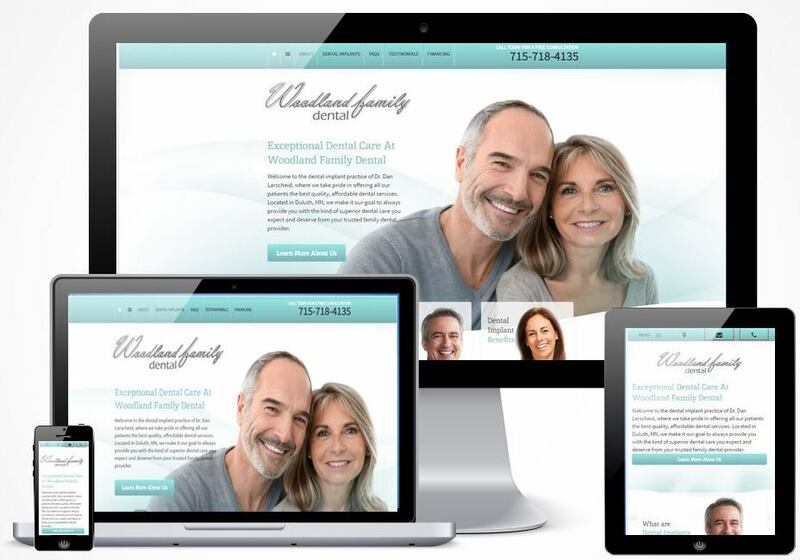 For years, our clients have been benefiting from a steady flow of high-value conversions through our InfoSite campaigns, including in the dental implant, dentistry, orthodontic, and legal industries. Customers or patients looking for the high-value products or services you provide. Now Media Group’s comprehensive strategy let’s me focus on dentistry…not marketing. It really works for me. To accomplish these goals, Now Media Group combines a top-notch team of certified writers, web engineers, and digital strategists to provide your customers or patients with a comprehensive educational resource on the targeted area of your business. The meat and potatoes consist of professionally written and search engine optimized content — written, visual, and audio — that engages readers and turns them into buyers, both in the form of accurate educational information and fun topical blogs that keep prospective customers involved with your company. Your InfoSite also funnels patients and customers to your main website, which indirectly earns your business sales and growth in other areas. It does this in two main ways. First, by linking directly to your website, it makes new patients or customers aware of your business and what it offers. Second, by building your brand, authority, and local recognition, it amplifies and complements your other marketing efforts. The result is a higher cross-marketing ROI and money saved. Few customers and patients will make their buying decision based on the first website they see. By retargeting patients who to come to your InfoSite, you can keep your practice or business at the top of their mind, so that when that buyer decides to make her purchasing decision it will be your company that she thinks of first. Relatively inexpensive and highly cost-efficient. 10 times more effective than display ads. Your prospective buyers are 70 percent more likely to convert. Increases branded search, earning your business greater visibility. Now Media Group’s InfoSites have been successful across a wide range of demographics and industries, including in dentistry, legal services, and other small business niche markets. Take a look at some of the excellent work we’ve done for our clients. For your product or service, Now Media Group works with only one practice or business per location. We don’t work with any of your local competitors. That means that our efforts are wholly and uncompromisingly dedicated to growing your business’ visibility in your market. It also means that availability is limited. Claim and dominate your market today by contacting your consultant at Now Media Group: 858-333-8950.